Being in India for Holi is one of the most memorable time for me. On a visit to a friend’s home, scrumptious food was served in the most beautiful bronze and copper bowls and platters. 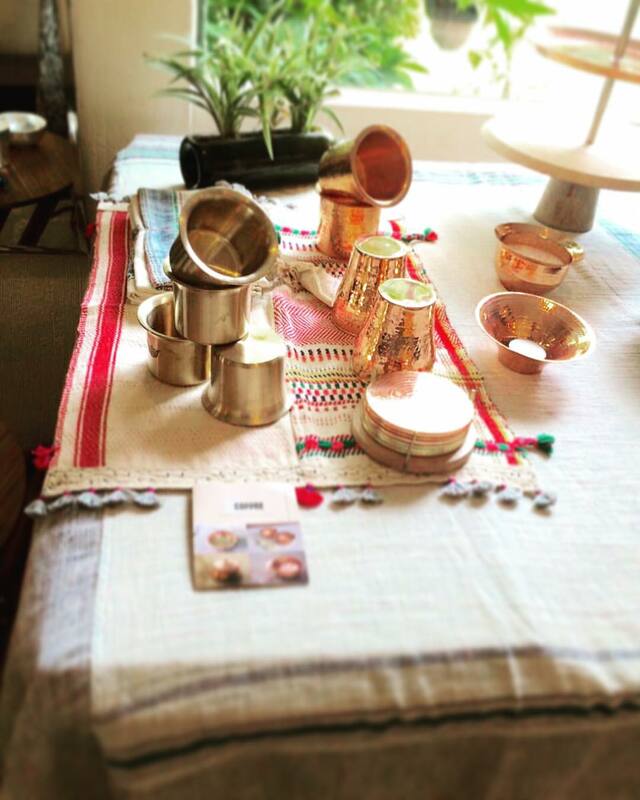 It took me back to my grandparents’ home which was strewn with the best looking kitchen ware made from metals such as brass, bronze aka ‘kansa’ ‘thalis’, spoons and various dishes. 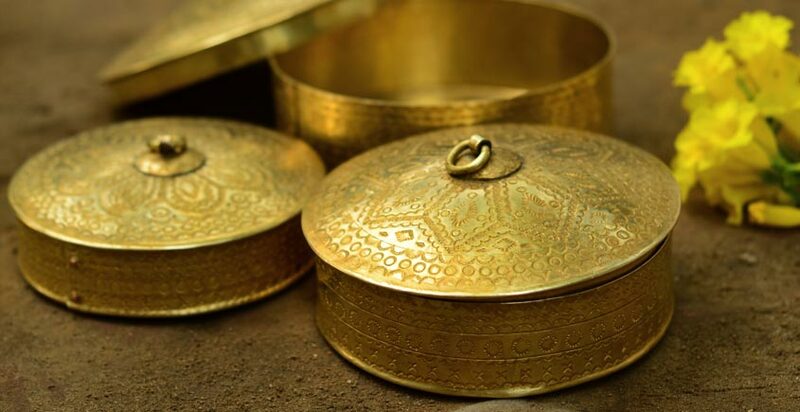 Eating and drinking from copper and brass was the norm back then…wonder, when steel, bone-china, plastic, stoneware and glass took over our kitchens? Well, we do know that all this happened when the British took over from the Peshwas!! ‘Kansa’ is an alloy of copper and tin. It retains heat well and was popular in the kitchen. 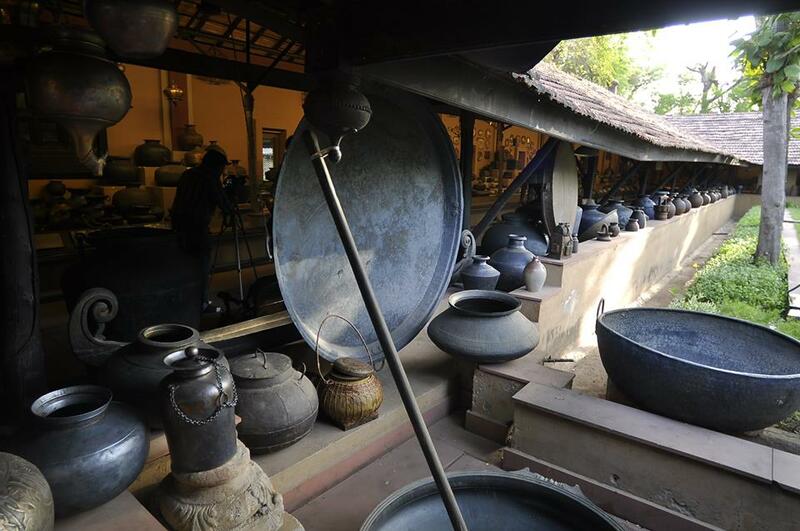 To ensure that food stored is safe, the insides of the dish is coated with a layer of tin (the process is referred to as ‘kalai’. 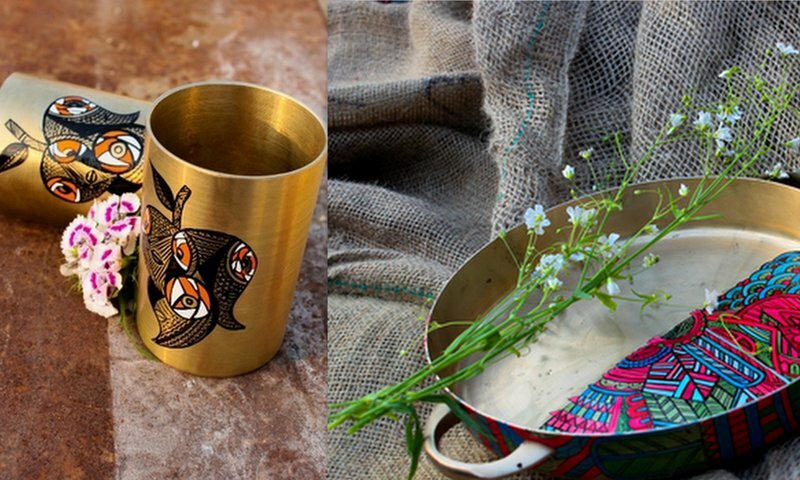 Remember the ‘kalaiwaala’ that did the rounds around your home?). 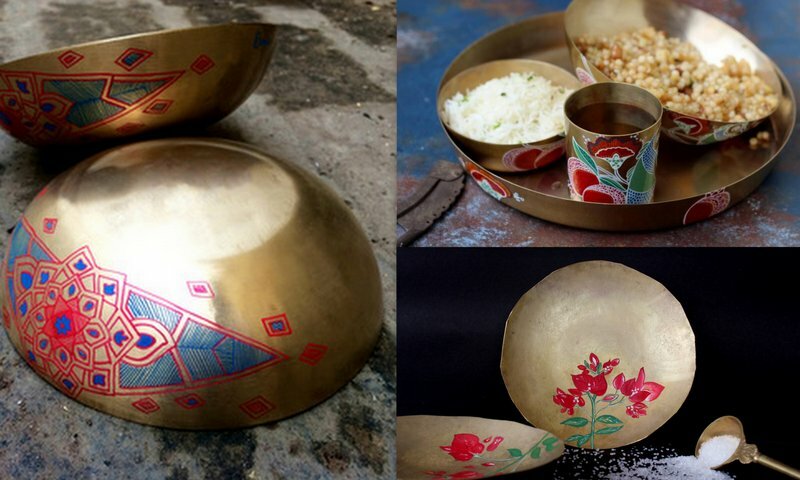 Ayurveda recommends that for the purposes of good health, food should be consumed in ‘Kansa’ ‘thalis’ aka plates. An alloy of copper and zinc, it was used across homes. From kitchenware, prayer ornaments to decorative vases, it was seen everywhere. Copper is one of the basic elements with a symbol ‘Cu’. 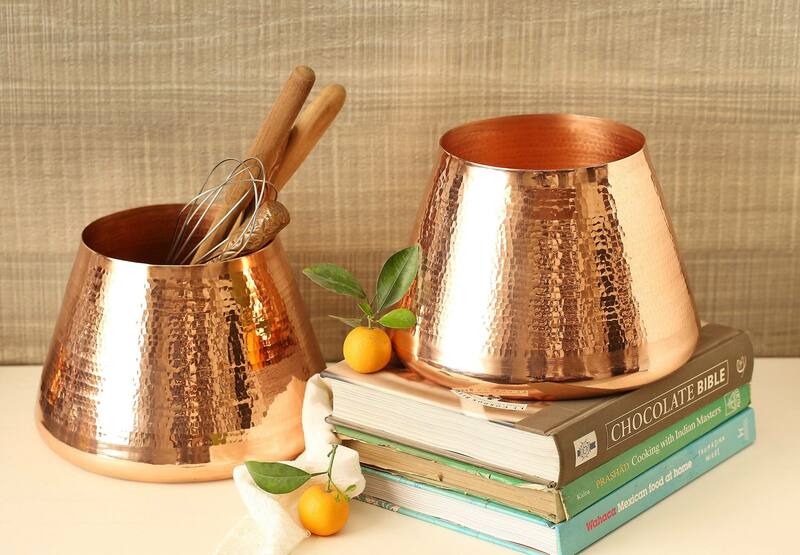 In its nearly pure state, copper is a reddish-orange metal known for its high thermal and electrical conductivity. It is also known to kill harmful bacteria and viruses. It is known to be an antioxidant and anticarcinogenic agent, which helps in slowing down the aging process by preventing cell damage. That is enough reason to have some copper in the home! 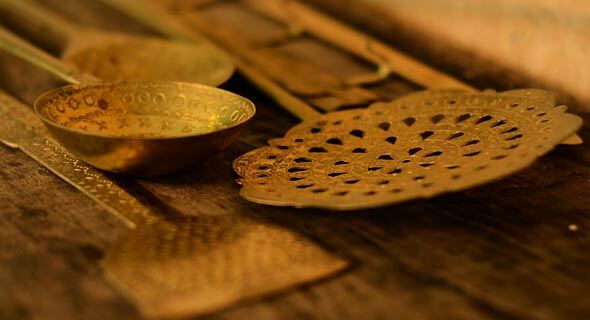 While copper, brass and bronze have been recommended highly by the practitioners of Ayurveda for all their amazing health benefits, I must point out that there has always been talk about the issues when acidic foods come in contact with either copper or brass as it tends to make the food rather harmful for consumption. Hence, the need for ‘kalai’ or coating of a layer of tin regularly. 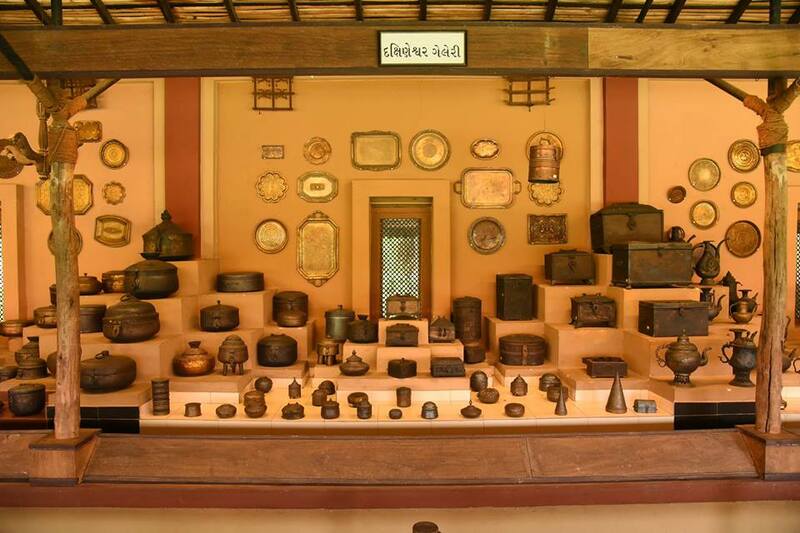 I recently read about the old utensils museum in Ahmedabad called the Vechaar, and what a collection! It will leave you spell bound. The ancient utensils are a visual treat. Bring back the goodness of the old times and merge it with the new…enjoy being Notjustashopper! Thankyou for your kind words, Daniel! They keep us motivated…so thankyou.